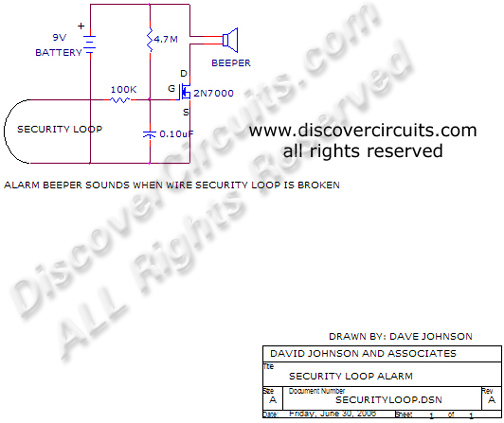 Circuit: Wire Security Loop Alarm__ Circuit designed by David A. Johnson, P.E. A wire loop is used to protect valuable objects in this alarm circuit. The circuit is powered by a 9v battery.